The one-of-a-kind, ocean-side village of Sooke (found on the south side of Vancouver Island) has been a thriving Coast Salish settlement for centuries. 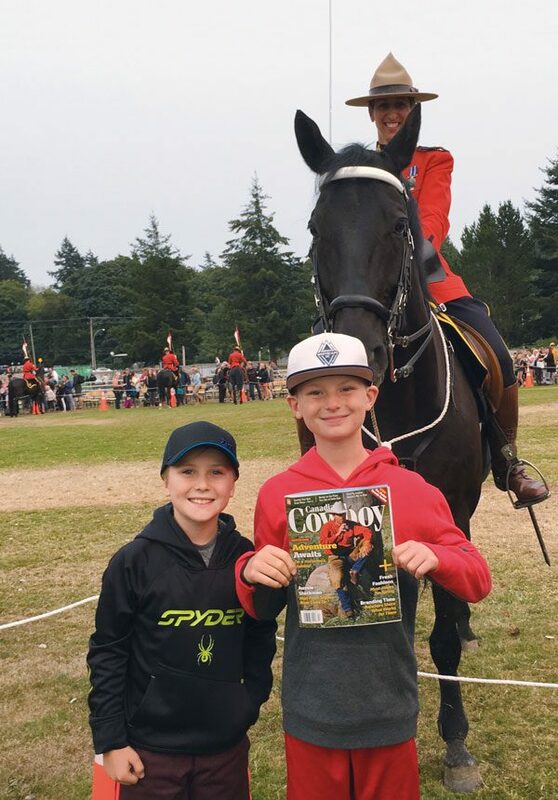 This summer, the popular village hosted the world-famous RCMP Musical Ride of scarlet-coated riders and 32 jet-black Canadian-bred horses to raise money for the Canadian Cancer Society Cops for Cancer Tour de Rock, which supports pediatric cancer research and programs. The events were sold out, attracting international visitors as well as local dignitaries and kids, including Jack Lauzon and William McCutcheon, photographed with Staff Sergeant Maryse Quesnel and her 17hh mount, Warren. In 2018, Quesnel was placed in charge of the Musical Ride.